A CLUB night starring a BBC Radio 1 DJ, Charlie Sloth, ended with a number of party-goers being hospitalised and alleging that they had been spiked with a mixture of MDMA – the component drug of ecstasy – and the prescription drug Valium. The type of drugs involved in the incident were confirmed by toxicology reports. 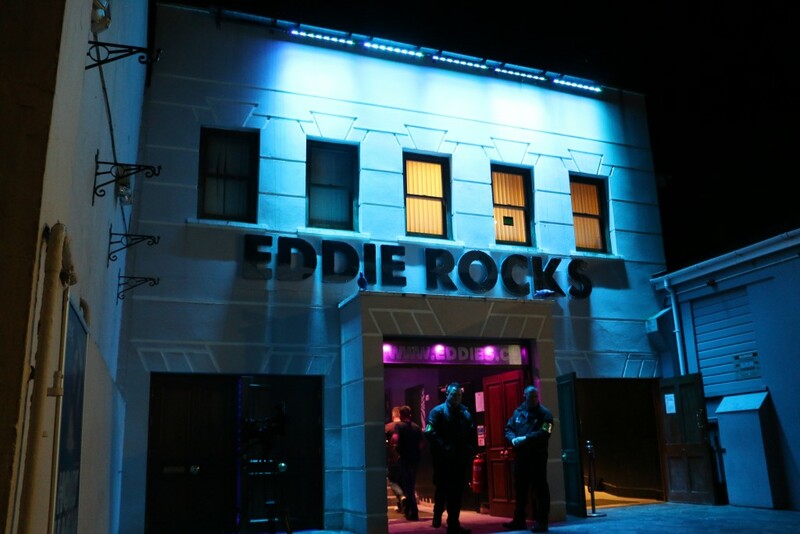 Dyfed-Powys Police and the Welsh Ambulance Service have confirmed they attended Eddie Rocks nightclub in Quay Street, Haverfordwest, in the early hours of Monday morning (May 7), as revellers celebrated the Bank Holiday Weekend. But the owner has hit back, saying that there was no ‘direct evidence’ that anyone was spiked in his venue, and that if they had it would have been caught on CCTV. Mark Edwards said there were 3000+ people out over the Bank Holiday Weekend, frequenting many venues, and that it could be the case that the drugs were administered elsewhere. He said that people move from venue to venue and ‘we are always the last place they turn up to’. A 22-year-old man said that he felt ‘very dizzy’ after drinking his vodka and lemonade in Eddie Rocks, and then the next minute his friend said that he had passed out in the beer garden. He woke up in hospital. The man previously was a member of staff and says he is not a drug user. Security staff had carried him out of the premises and he was taken to A&E by ambulance. A 21-year-old female made it home but later was taken to hospital by her father after she became dizzy and unresponsive. At approximately 4:45am, a further individual was taken to hospital via ambulance, police confirmed. Those being treated at hospital said they were told by hospital staff that there were at least three others presenting with similar symptoms. The man told us: “I was in the smoking area, then I was on the main dance floor, I went outside for a cigarette at about half past 12, that’s when I started to feel really bad. “There was nobody suspicious around me, I didn’t see anyone around my drink – but I did put it down a lot. “When I woke up I was shaky, hallucinating, talking to my friend – who is dead – and then I was also talking to my friends who weren’t even there. “I can’t thank the hospital staff enough, they saved my life, really did everything I could have asked. “My mother wasn’t too happy afterwards, I can’t remember much of what she said though because I didn’t come around until Monday evening. I was shaking, trying to sleep, it was a nightmare. “I will definitely be a lot more careful in the future about how I handle my drinks. “My friend was spiked too – she went to go home and as she did she collapsed, so her dad rushed her to her hospital. We’ll get married one day and this will be our story of how we first met. The owner of Eddie Rocks, Mark Edwards, told The Herald that there are ‘over 136 cameras in the club, every inch of the venue is covered by high-quality CCTV’. “This system protects our doormen, staff and customers,” he added. “We have invested over £70,000 and more for this system over the years and nothing can happen without us knowing it. Mr Edwards says he has not yet been contacted by police in relation to the incident. A Welsh Ambulance Service spokesperson said: “We were called on Monday May 7, 2018 at approximately 2.05am to reports that a male was taken ill outside Eddie Rocks Snooker and Pool Club on Quay Street in Haverfordwest. A spokesperson for Dyfed-Powys Police said: “We received three calls reporting concerns for people’s welfare in the Quay Street and Bridge Street areas of Haverfordwest during the early hours of Monday, May 7.